Registrar and VC Prof. K.S. Rangappa was present on the occasion. The signing of the MoU took place on February 22, 2014. As part of the MoU CIS will convert and upload the encyclopaedia into Kannada Wikisource and then it will be moved to Kannada Wikipedia. 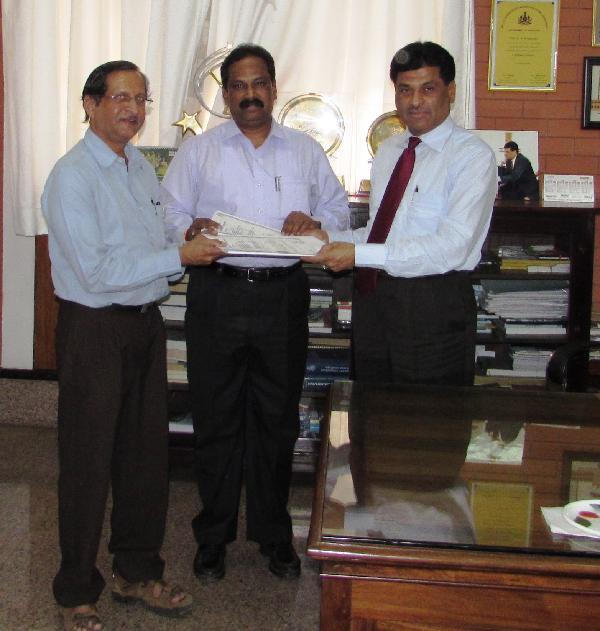 Above: Dr. Pavanaja with Prof. C. Basavaraju and Prof. K.S. Rangappa at Mysore University on occasion of signing the MoU.